Black Veil Brides are a very well known rock band to their fans and haters. But they have a secret, that secret is they are vampire hunters. Though they keep that side of them hidden from the world since most hunters were killed off. They made a promise that the band and their fans came first and they would never use their hunting skills again, until one night. The night of the last show of the tour, Black Veil Brides decide to go out partying. While Andy and the guys are heading back the bus to get ready to go out, they hear voices coming from an alley near the building they played the last show. When Andy, Jake and Jinxx go to check it out. They find a vampire kid from the show fighting with three girls, wanting the one to come with him. As they say no and he goes to attack them but the guys stop him and tells the girls to get out of there and not to speak a word of what they seen. As the girls run off, the boy tries to attack the guys and they are force to kill him. Before the vampire dies, he tells them that they will regret what they did. As they are out partying everyone but Ashley leaves the bar to go back to the bus early to get sleep. Andy tells Ashley to be careful, that it could be dangerous outside and not to stay out too late. As it hits close to 3 am, Ashley leaves the bar and starts to walk back to the bus, as he walks by an alley, he hears a kid crying and goes to check it out only to find it was a trap and he is attacked.&amp;amp;amp;nbsp; CC and Jinxx finds him a few minutes later passed out in the alley. When they get him back to the bus, they find out that he's bitten. What is going to happen to Ashley? What did Andy, Jake and Jinxx get their band into? How far will these vampires go to get pay back? Will there be anyone to help them? Guess you just have to read and find out. 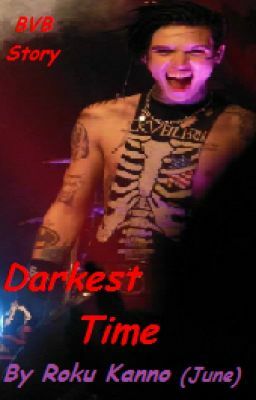 The picture for the cover for this story, is a picture that my cousin took when we went to go see BVB Nov 19th 2014 in Philly.